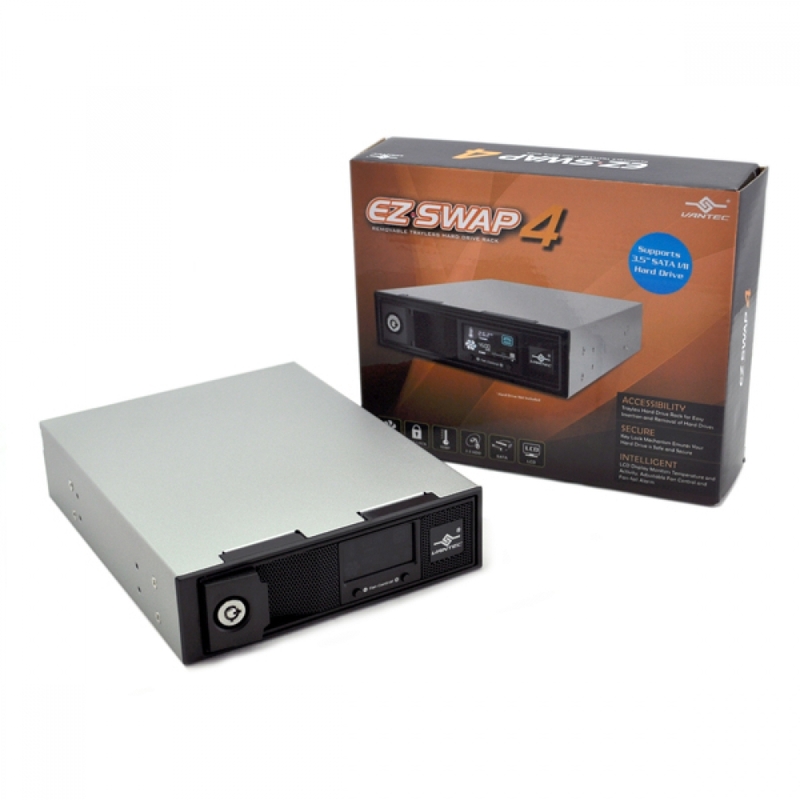 The Vantec EZ Swap 4 – brings simplicity to your storage needs. 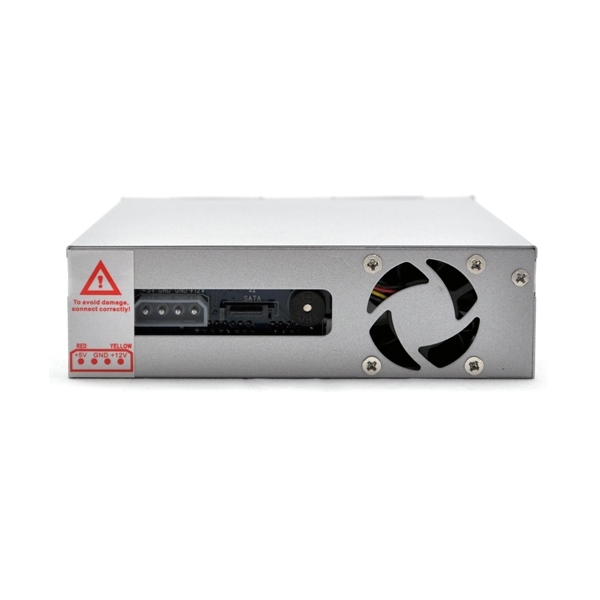 A trayless design allows you to quickly add or remove hard drives without the hassle of dealing with messy wires inside your computer. 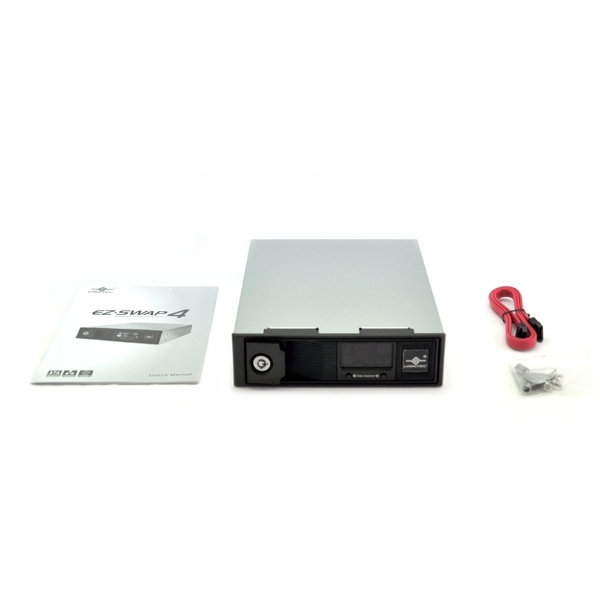 Instantly have a SATA connection with a simple insertion of your 3.5” SATA I/II/III hard drive into the Vantec EZ Swap 4. The stylish LCD on the front panel provides vital information such as the current hard drive temperature and fan speed. Front cooling vent allows for cold air to enter and effectively cool the hard drive while the back fan exhausts the hot air. A security lock is also provided to prevent unwanted hard drive removal or tampering. 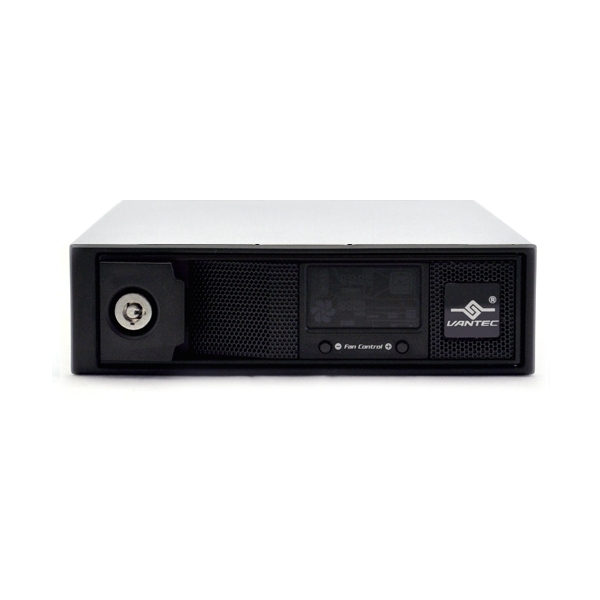 Fulfilling your need of a simple and effective storage solution has never been easier with the Vantec EZ Swap 4.